This epilator does what it says it will and with remarkably little pain. It’s got all the attachments you could possibly want and the cooling glove is a nice little bonus. If it was cordless then it’d be a real winner, but the cord can get in the way a lot. 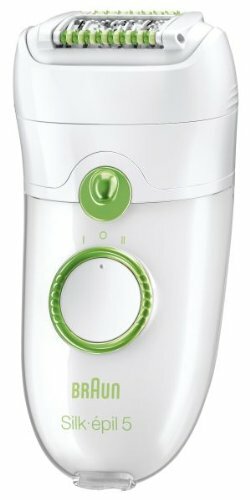 The white and green design is really fresh and for a good all-round epilator you could do a lot worse. The price is also an advantage as epilators can get pretty expensive and super cheap ones frequently just aren’t worth it. This one occupies the middle ground in price but is still really high quality. I’d recommend it, especially for those who like a little more gentleness and control. Braun is a major global consumer products company and you’d have to have been living under a rock for a century not to have heard of it. It was founded in 1921 by Max Braun in Frankfurt, Germany and was owned by Gillette for decades. It’s since been taken over by Procter & Gamble and remains a leading name in personal grooming products. This Braun Silk-A Epil 5 has got more technology in it than your average laptop. 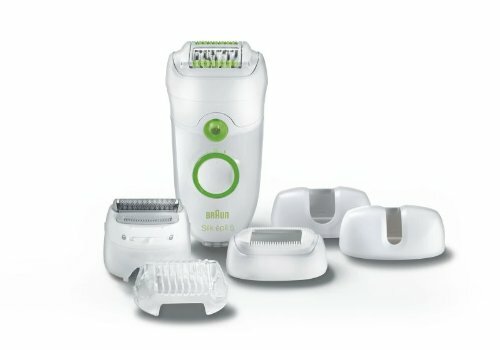 Considering it’s purely for removing hair, the lengths that Braun has gone to in order to create an amazing product are impressive. The technology here puts a heavy emphasis on comfort and minimising pain, making it an ideal choice for those new to epilating (or just those who like comfort over pain…). The freezable cooling glove that comes with this is actually really good and I felt almost no pain, just that slight tingling sensation afterwards which totally goes away with the glove. You can use the glove before and after and that way, this epilator was pretty much pain free for me. The massaging head presumably helps minimise the pain too. If you want to take it slow or get it over with as quickly as possible, you’ll find the speed control really useful. There’s also a nifty light called the SmartLight that makes it a bit easier to make sure you get all the hairs. The head of the epilator pivots 15 degrees, which is one of the key things that gives you easy and smooth results as it manoeuvres around contours really well which some epilators just don’t. With 40 tweezers, the Silk-A Epil 5 manages to remove even insanely short hairs – you know when they seem too short to bother with but long enough for your legs not to be smooth? It can get those so you can have smooth skin all the time. It comes with a load of different heads for different body parts plus a trimmer head in case you’ve been pretty slack recently and need to cut the hair down or don’t want to actually remove hair. 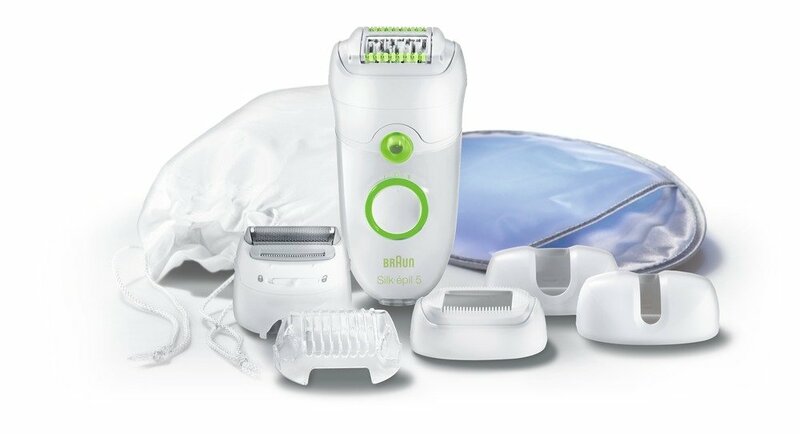 All the additions mean that this one epilator has got you covered and that’s my favourite part. It’s completely washable and submersible which is key because you need to make sure it’s clean. The heads are simple to put on, take off and clean individually and the design looks fresh and simple. It’s not overtly feminine either which I think is a bonus – not everyone wants a pink, floral epilator. The one really annoying thing I found with this is that it has a cord and a two pin shaver plug. The cord just gets in the way and cordless epilators are so much more manageable. A cordless version of this would be best. You can buy a 2 pin to 3 pin adapter easily and cheaply but it’s just a bit frustration that it’s not included.